As an owner of a business, I know one of the biggest issues to look out for is competition. And of course, it’s also to follow the goal of being the best there is out there. That happens in all businesses. Especially tow truck drivers. And one night when several different drivers from two separate roads come across a car turned over and an injured cyclist (wonder how that happened?) it starts out with a slight issue between two of the drivers. One man named Elvis (John Kapelos) who is a ‘chaser’ tells the injured driver he has a plan to pin it all on the dead cyclist (as a way of suckering money from his new customer) while Ben (Brian J. Smith), from Jackrabbit assures the driver the cyclist is still alive and to trust his company instead. Ben is a simple fellow who just tries to do his job of towing illegally parked cars using his truck, #22. But he’s gotten so many issues like the usual man, having to get a great gift for his son’s birthday, paying off a debt to a cop (Aidan Devine) who offered him money, and so much more. Things get worse when his boss doesn’t get around to fully finalizing a financial contract with the police, and as he lags behind on his job, his pay decreases too. 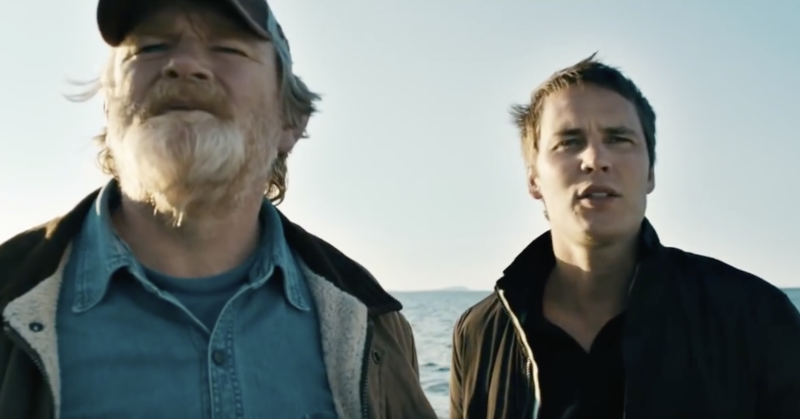 But there is somewhat of a solution when Ben’s wife Avery (Kaniehtiio Horn) asks for help from his best friend, Sean (Aaron Ashmore) who suggests that Ben into a dangerous new way of work: Working as a chaser. Now, a chaser is a type of tow truck driver who arrives at an accident before the police in an effort to make some income. Not always bad people but they are scam artists depending on how much they charge. At least that’s what an online guide to Toronto’s road laws told me. Ben’s not the best at his new position, competing with his old associate Wayne (Raoul Trujillo) and Elvis, the guy from before. Things aren’t looking too good with all the problems he has such as his family, paying the loan shark of the law, and the contract that never goes through. But he’s determined and won’t give up for anything, working hard to get his income. Because, when there’s a will, there’s a way. At first, it feels like the movie isn’t going much of anywhere, but it quickly builds up on the way. The whole plot is incredibly dark with all of kinds of crazy scenarios that really feel like it’s getting worse as it progresses, but the best of everything is always saved for last. All of the characters seem to be the most negative, and harshest people around, but that’s the sad truth nowadays since everyone’s getting aggressive, making the film so accurate to reality. For the most part, Ben seems pretty good-mannered, but it’s only until the near end when his backbone actually starts building up. Filmed mostly during the night, with a very cool way of being lit up by street lights without looking washed out, the scenery and set up of the shots is very professional. 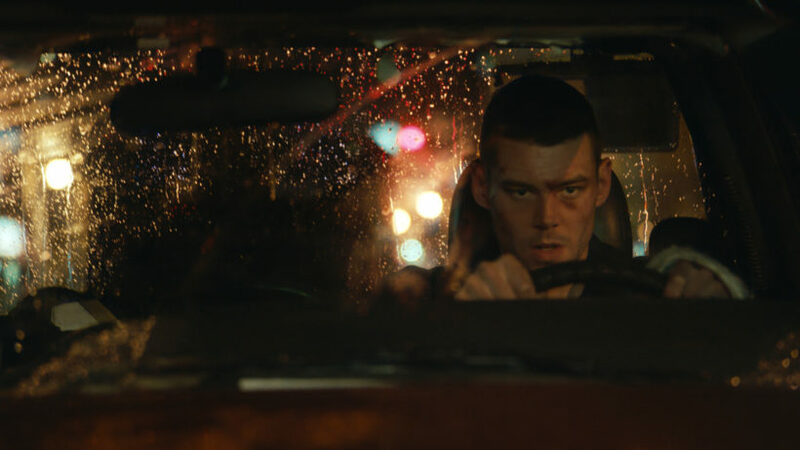 Finely directed by Rafal Sokolowski, and written by Jeremy Boxen, 22 Chaser is a twisted and ominous story with tiny squeezings of humour here and there. A great film that shows even the nicest simpleton can become a challenge with the right drive, putting his attitude into 2nd gear. And of course, it also shows you have a choice on which driver to choose should more than one show up and you got to be careful of the scam artist tow truckers out there. They won’t be as easy to spot as the chaser Elvis with his flashy 6-wheel drive truck. Common sense at its finest, and a Canadian film that comes off more aggressive than what people consider ‘average’ Canadians.